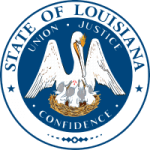 Laws in the state of Louisiana can be enforced in a situation where both or a single parent is not exercising their responsibility in terms of child support. An order can either be enforced or a new one created and enforced b the courts. The child support laws help them to make the right decision regarding a case brought forward by either of the parents or the guardian of the child.